​Just north of the established Flying Horse community, you will soon find a new luxury golf course community nestled in the trees of Northern Colorado Springs located between Black Forest Road and Highway 83, south of Hodgen Road. Upon completion, Flying Horse North will feature 283 luxurious custom & semi-custom home sites, a stylish clubhouse, an 18-hole golf course designed by golf course architect, Phil Smith. The clubhouse and golf course will be managed by The Club at Flying Horse. Development plans also call for a park and open spaces. Flying Horse North offers the rare opportunity to enjoy golf course living on large acreage homesites with homes built by the area’s most respected homebuilders. Homesite sales began in the Fall of 2017, with construction beginning in 2019. Lot sales are managed and marketed by Flying Horse Realty. Construction of the 18-hole golf course is underway with plans to open for play in 2020. Flying Horse North is located between Black Forest Road and Highway 83 just south of Hodgen Road. This one-of-a-kind community is in the early phases of development. Be among the first to learn about development plans, golf course updates, membership opportunities and lot releases by completing the “Interest List” form below to join our interest list. Members of our interest list will receive information in advance of the general public. Community developer and homebuilder, Classic Homes, is expanding its established Flying Horse brand to include 283 acreage homesites, some nestled in the Pondersoa Pines in Flying Horse North. Construction on the 18-hole Phil Smith Golf Course has begun and plans for a golf clubhouse are underway. Stay on top of the updates by joining our interest list below. The first release of homesites is comprised of 80 acreage home sites that range from two-and-a-half to five acres with initial pricing ranging from the mid $100s to the upper $400s. Individuals who choose to build in Flying Horse North have the opportunity to purchase a lot and bring their own builder or choose from a list of preferred builders. 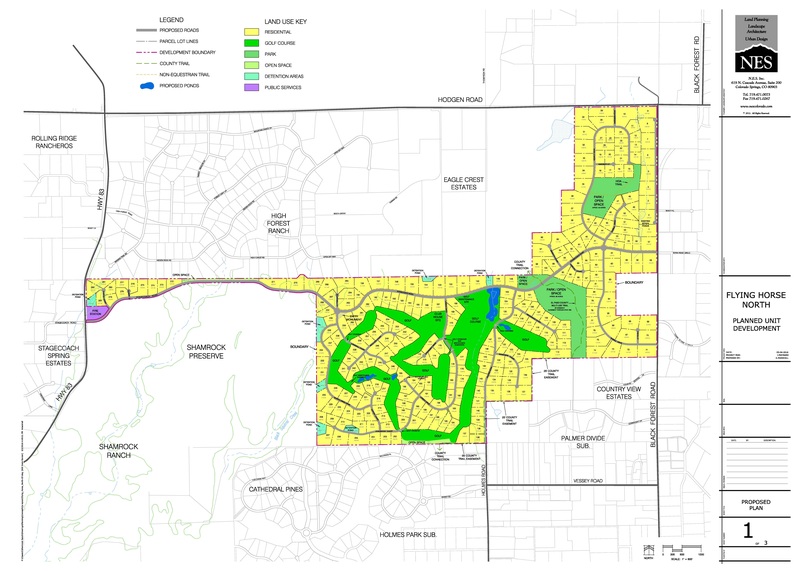 All acreage homesites in Flying Horse North include a Signature Membership in The Club at Flying Horse. Private tours of the property are available by appointment, contact Flying Horse Realty at 719-886-4800 or stop by their office located at the corner of Hwy 83 and Flying Horse Club Dr. For more information about Club Membership opportunities, please contact Jennifer Weis at 719-494-1222. *Development plans and homesite pricing and availability is subject to change.